As well as building websites ourselves, we also work in partnership with other website developers to deliver projects which combine more complex functionality with our distinctive creative designs. What can Dizzy offer to website developers? Developers tell us that it can be very frustrating working with designers who have been trained in design for print, but fail to understand the design requirements of a website as it is more like a machine, with some moving parts and some static parts that need to work together. As a result, designs are often presented to developers which are not compatible with HTML and content management systems. 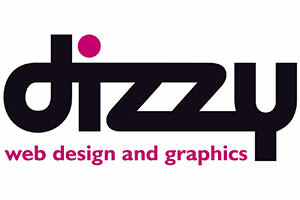 At Dizzy Design we have full working knowledge of HTML and CSS, we understand how a website is put together, the requirements for fonts and graphics and how content management works. We have all the creative skills to design an attractive website and can supply designs direct to developers in Photoshop without any need to adjust them. This makes the process of website design and build run really smoothly, and ensures the end result is a site with all the functionality as well as the creative design the client expects. As Dizzy we choose to use WordPress to build many of our websites. It’s a great option for businesses with a modest budget that want creative, original design and the ability to add and update content themselves. WordPress is a popular content management system that is simple to install and available at no cost with most hosting companies. The beauty of WordPress is that it is extendable with plug-in, fully customisable and easy to add content even for users with only basic IT skills. Also, WordPress can be used to extend an existing website by adding a blog which the client can edit themselves. At Dizzy, we create a bespoke design and integrate it into WordPress, adding available functionality such as WooCommerce, Event Manager and BB Press (forum). Finding the right e-commerce solution at the right price can be a challenge. Dizzy will help you make the right decision based on your requirements and budget. In house we can provide WooCommerce solutions via WordPress, which allows you to sell physical products and virtual products (such as document downloads) and then manage the payments using PayPal or various other gateways to take payments. This is suitable for small to medium size stores. If your site will need to handle bookings for courses or events, we can integrate Event Manager into WordPress so that you can take online bookings and payment via PayPal or Sagepay. If your project is BIGGER and more complex than this, Dizzy can help by providing thorough site planning and design for submission to one of our developer partners for quotation or for you to take then to a developer of you choice. However we are happy to to use your existing corporate identity and will strive to keep everything in line with your existing material. In house we provide design and artworking services using the latest Adobe software for print. However if you require PDFs of for your website or emailing these can also be provided. At Dizzy we can either create everything from scratch based on your brief or work from a supplied template in InDesign or a visual supplied in Photoshop or Illustrator. In addition Dizzy is happy to source printer and pricing or supply a press ready PDF to the printer of your choice. In addition to brochures and catalogues we can create, folders, posters, flyers, adverts and practically anything else that you need printed. At Dizzy we have experience in creating large format graphics for systems such as Nimlock as well as graphics for the exterior of shops and large advertising banners for Rugby and Football clubs. Ruth reflects her creativity in every detail of our new website, the logo and the lay out far exceeded our expectations. I will certainly recommend Ruth and Dizzy web designs to clients in the future, and due to her knowledge and professionalism we now have a fully functional website to be proud of!